Truth: Every Supergirl meditates. It is your duty to yourself, your loved ones and the planet as a whole! 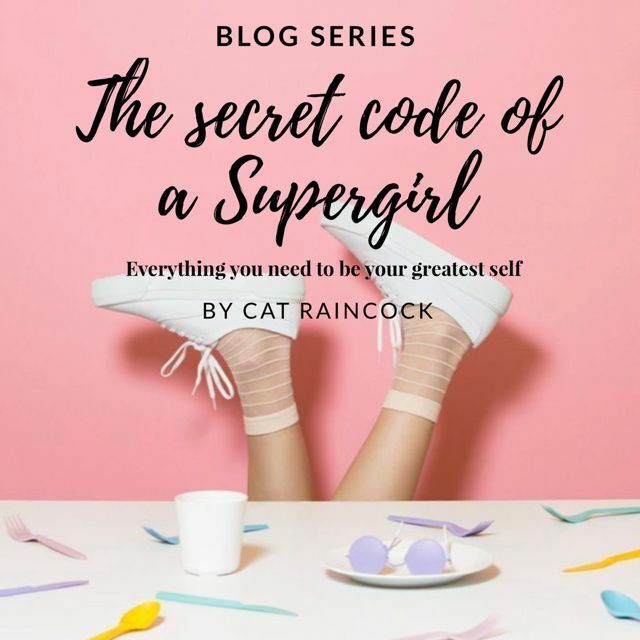 It will upgrade your DNA to nothing less than super while transforming and decluttering your mind so that there is only room on this earth for your most super frickin version. I know, you keep reading it and everyone is telling you to mediate but WTF is it and how do we ‘do it’? Once upon a time, I thought the same and didn’t have a clue why I would do it, ‘no that’s not me, only hippies mediate!’ The honest truth is, I didn’t turn to it until disaster struck and self-esteem failure ensued and only then, did I recognise the benefits and now practice it daily. So from a fellow non-believer to another, he’s why I prescribe meditation for you too. Firstly, if you didn’t already know and wondered WTF is this thing called meditation, in simple terms, meditation is relaxation. It is not about concentration, it’s actually about de-concentration. It’s not about focusing one’s thoughts on one thing, but instead on becoming thought-less. Do you know that we have between 50,000-70,000 thoughts per day, this means between 35and 48 thoughts per minute per person!! I bet on those days where your head is ready to explode, you’re up there at the 70,000 thoughts mark – amazing isn’t it. What if I could wave a magic wand and slow down that racing head, those negative thoughts and that darting mind, it would feel good wouldn’t it? But if we stayed in that racing headspace, which we often do after an active, busy and stressful day, how are we ever going to relax and sleep that night and get mentally prepared for the next day? It’s about giving our mind some time out. The benefits are endless and without getting too technical, when we slow our thoughts down we can start to decipher which ones are truthful statements and which ones are just tittle-tattle, mind fillers. On a deeper level, we reconnect the mind and the body. Thoughts are from your head and the ultimate goal is to reconnect the mind with the body and really feel our bodies, read our emotions based on how we are feeling, not thinking. Studies have shown improved ability to [permanently] regulate emotions in the brain. By quieting the mind, it allows you to become more centred and at one with your emotions. Get this – It promotes happiness! What more could you want, isn’t that your life goal, to feel happy?! With meditation, the body’s physiology undergoes a change and every cell in the body is filled with more prana (energy). This results in joy, peace, enthusiasm as the level of prana in the body increases. Studies have shown that brain activity increases in the left side of the prefrontal cortex, which is responsible for positive emotions, while activity decreases on the right side, responsible for negative emotions. It is the fast train to inner happiness- woohoo! Ditch the face creams as it’s also anti-aging! People who meditate have less ‘grey matter’ and I don’t mean your hair! I mean, you have more healthy brain cells and it leads to a longer life as brain cognition is preserved – that coupled with the promotion of happiness – it’s a winner, one long happy life coming up if you meditate! Not only does it reduce stress and promote happiness, it also induces relaxation, which increases the compound nitric oxide that causes blood vessels to open up and subsequently, blood pressure to drop. One study, published in 2008 in the Journal of Alternative and Complementary Medicine, showed that 40 of 60 high blood pressure patients who started meditating could stop taking their blood pressure medication. There are lots of different ways and types of meditation. I do guided meditation under hypnosis which allows my clients to take on positive suggestions. I also prescribed guided meditations to connect to their inner child and also to release anger in a healthy and safe environment. But how does it work its’ magic, I hear you cry! Emotional stability improves – wow what a treat! Happiness increases – yes, please! Want to meditate but don’t know where to begin? There are some great apps out nowadays that give you a good introduction. I recommend HeadSpace as a good start, it’s a beginners guide and builds up the levels. The key to meditation is this…wait for it..this is big! Simply sitting somewhere quiet and focusing on the breath, is meditation. Lying down and calming your mind while talking to your inner self, is meditation. Listening to a recorded relaxation is meditation. Turning in to your body and noticing any sensations in your body, is meditation. Sit, breathe, slow down and you’re on track to a long and happy life. This is your secret weapon for transforming and upgrading to nothing short of super. Now meditate on that!